Experience quintessential New York with its greatest pleasures and pursuits, all located within a short walk of one’s door. In close proximity to New York’s excitement and attractions, Olympic Tower lies at the hub of the city’s thriving business, entertainment and culture districts. 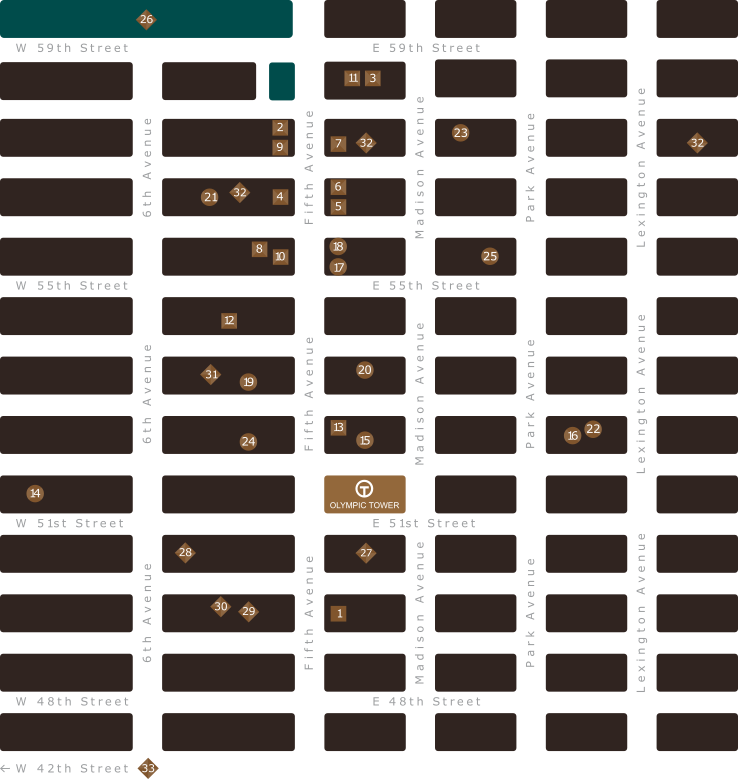 Major retail destinations stretch along Fifth Avenue from 48th Street to Central Park.